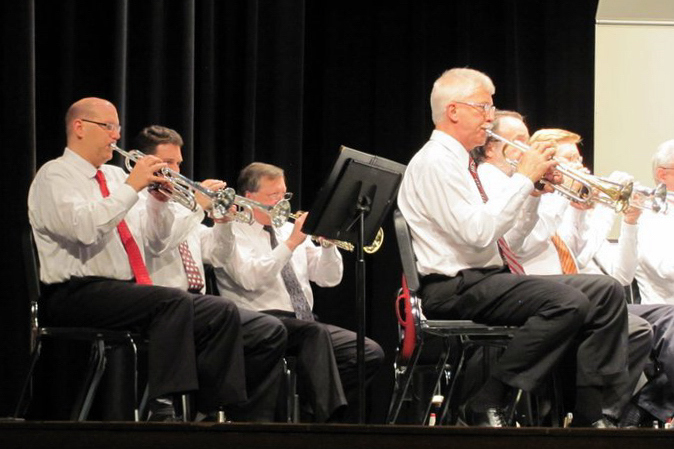 The Mason Community Band was organized as the result of a few interested individuals from the city of Mason. In early October 1996, a meeting was held in the Mason High School Band room to lay out a plan. The band was officially organized on October 21, 1996, and performed its initial concert at a local retirement center. In the years since, we have developed into a strong symphonic band that plays a wide range of selections, e.g. marches, orchestral transcriptions, movie themes, pop arrangements, show tunes.